TOKYO (Feb 3): Oil prices edged up on Friday on news that U.S. President Donald Trump could be poised to impose new sanctions on multiple Iranian entities, firing geopolitical tensions between the two nations. Reuters reported that the U.S. administration is prepared to roll out new measures against more than two dozen Iranian targets following Tehran's ballistic missile test, according to sources, but the package was formulated in a way that would not violate the 2015 Iran nuclear deal. 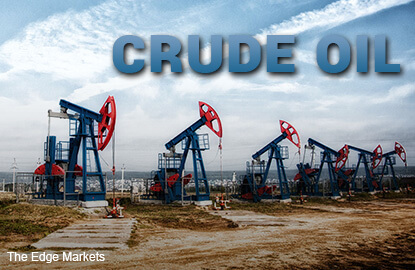 NYMEX crude for March delivery was up 37 cents at $53.91 a barrel, after settling down 34 cents on Thursday. For the week, the contract is up a little over 1 percent. London Brent crude had yet to trade after settling down 24 cents at $56.56. Global oil output was cut by 1.4 million barrels per day (bpd) last month, Russian energy minister Alexander Novak said, as part of the deal last year between the Organization of the Petroleum Exporting Countries (OPEC) and other producers led by Russia.